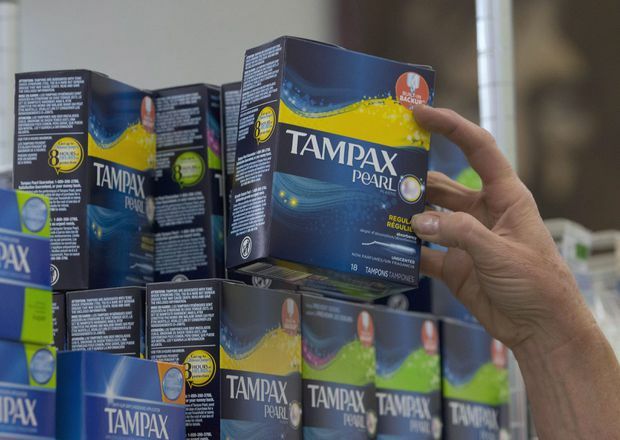 A British Columbia school board believes it is one of the first in the country to provide free feminine hygiene products in washrooms. Members of the New Westminster school board debated and unanimously passed a motion Tuesday night. Starting in September, tampons and pads will be available in women’s and universal washrooms in elementary, middle and high schools in New Westminster. She says most schools have dispensers for menstrual products, but charge for the items. The cost of installing the free dispensers is estimated at $10,000, while district staff say stocking them will cost about $7000 annually. Tribe expects the overall cost will amount to less than $1 per student by the second year of the program. New Westminster School Board chairman Mark Gifford says the issue received little attention until it was brought to trustees. “I think that’s a little bit of a reflection of some of the stigma that can be around having conversations about periods and menstruation and it was a common sense step for the board to take,” he says. The school board is expected to call for a provincewide roll out, but Education Minister Rob Fleming first wants to see how the program develops in New Westminster. “I’m sure that they’re getting some inquiries from other districts right now, about how they managed to create that program and how they’re administering it,” says Fleming. Tribe believes free and readily available pads and tampons could dramatically improve the school experience for some students.